A: My initial experience with any type of martial arts training was with boxing. I started boxing at the age of thirteen, in 1973. It was a program at the local Boys Club (Boys Club of America). I boxed for two years and then my real introduction to martial arts was with the local YMCA where they had Judo class. I would go to swim and play basketball; little did I know that right across the street from the YMCA there was a karate school. I officially started my martial arts training at age fifteen, in 1975. A: What inspired me to continue training was reading Black Belt magazine, and of course, watching Bruce Lee. Bruce Lee was very big at that time for anyone involved in martial arts. 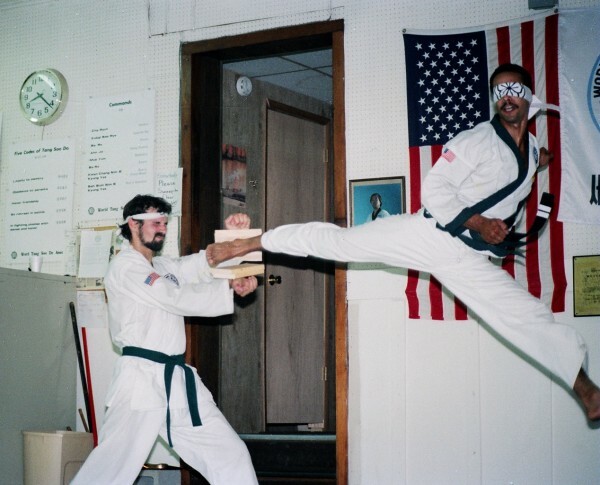 I also followed Chuck Norris, because I knew he did Tang Soo Do. It wasn’t difficult to remain inspired because I found something I really loved to do besides basketball. I never looked at belt levels; I just trained. No one in my family ever even knew that Iwas studying martial arts until I went for my black belt. A: I have both a trade and a profession. I work for Sikorsky Aircraft in the military section and I paint helicopters. I actually paint Army Black Hawks and Naval Sea Hawks. My profession is Law Enforcement Instructor for the State of Connecticut. I work with new recruits who go and live at the academy while they receive their training. I started as a physical fitness Instructor and a week later, I met the instructor for the Defensive Tactics. It’s been seven years now and I teach everything from Restraint and Control, Baton, OC spray and Hand-cuffing. I have to say that I love this job more than painting helicopters because I’m doing what I love: my martial art. A: Some of my notable accomplishments are, in my very first tournament (in the bicentennial year, 1976) I won my first trophy as a green belt. I got my first Grand Championship Trophy when I was a second dan in the 80s. But I would say that my biggest accomplishment has been the opportunity to travel to China, Korea and Brazil where I was able to practice my martial arts in a different culture. A:My favorite memory that comes to mind right away is doing a Tang Soo Do demonstration at the Shaolin Temple for the Shaolin Monks. The Temple is located in the Song Shan Mountains of China. 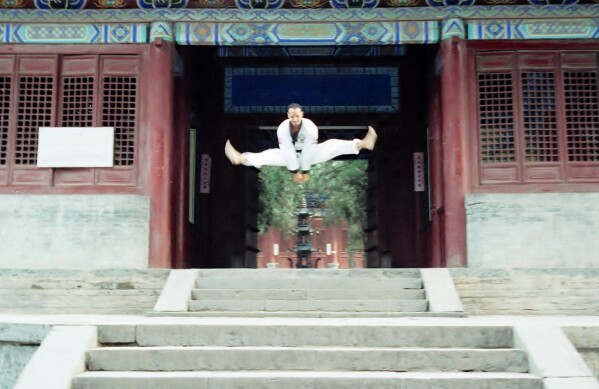 The second is doing Bassai on the Great Wall of China and doing the best high side kick that I was able to do. Q: When you attend a martial arts camp, do you prefer to learn new techniques or perfect the ones you already know? A: When I attend a martial arts camp I prefer to learn something new. This can be anything from history, philosophy or doing something hands on. This allows me to continue to grow in many ways. Q: Where do you find the path to growth in your training and practice? Is growth just a matter of simple of repetition? A: I find that my path to growth comes from training with as many instructors as I can. No matter which style I’m practicing, the instructors always stress the same thing and that is always, practice the basics. I do believe that growth comes from simple repetition. Simple repetition becomes fluid motion; fluid motion becomes Moo Shin (empty mind), this is where you want to be with your repetition. Q: What are your tactics and strategies for improving your sparring? A: For me, tactics and strategies are one in the same: don’t wait, always be the first off the line and always work the angles. I also watch my opponents before me as they spar. This allows me to see their techniques and what they like to do, are they a puncher, a kicker or are they a “waiter.” What I mean by a “waiter” is someone who waits and counter-attacks. Q: Have you ever traveled to abroad to enhance your training? What did you learn from the experience? A: Yes, I have traveled abroad to enhance my training. It was not training that involved Tang Soo Do, but training that involved Capoeira. Capoeira is one of the martial arts that allows me to enhance my Tang Soo Do training in the area of sparring. In Capoeira when you first start, you are not allowed to use your hands. This was a little hard at first, because of my Tang Soo Do training. I traveled to Taubate, Sau Paulo, Brazil about four years ago to enhance my Capoeira. I trained with my instructor’s instructor, Mestre Quebrinha. No matter how far you go, you will always hear the instructor say work the basics. What I learned from my experience is to have fun with my training. I want to say thank you to Kwan Jang Nim St. James for allowing me to be part of a great family.